Many people purchase badges for their friends and family members to attend conventions. Because of this, we've implemented our Friend system, which allows you to "give" a badge you've purchased to a person you've friended through Tabletop Events. To add a friend, log into your Tabletop Events account, and click on "Friends" on the right side of the screen under Account. Then, you can search for a friend by name or e-mail address. (Your friend will need to have an account in our system.) Click on the desired name or e-mail address. You'll see that a friendship invitation has been sent. Your friend will receive an e-mail notification about the friendship invitation. Your friend can then accept the request. Once your friendship invitation has been accepted, you can "give" badges or tickets that you have purchased to your friend. On your Friends page, click on "Give" next to the desired friend. You can then select a badge to give to your friend. 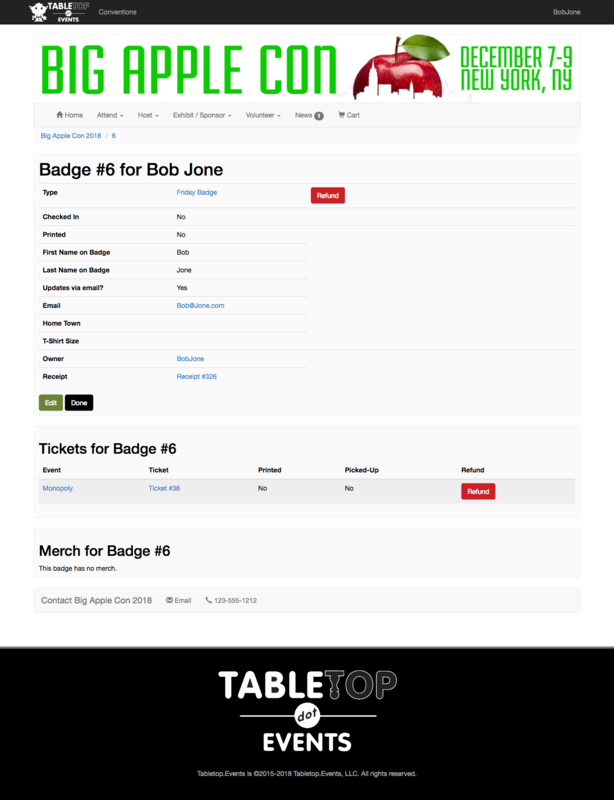 Your friend can then see the badge by visiting https://tabletop.events/account/conventions. The badge will appear under Conventions I'm Attending. When you give the badge to your friend, any tickets or merch associated with that badge are also given. Your friend can click on the badge name to see more information about the badge, tickets, and merch.